Nevada legalised casino gambling in 1931 when Governor Fred Balzar signed Assembly Bill 98 into law. The Nevada Legislature voted to legalise gambling to help lift Nevada out from under the impact of the Great Depression, and undid a ban on casino gambling in the state that had been in place since 1909. Gambling has been legal in Nevada for the past 85 years. In 2011, the Nevada Gaming Commission (the Commission; collectively, the Board and Commission will be referred to as the Nevada Gaming Authorities) adopted regulations for interactive (online) gaming in Nevada. By statute, online gaming in Nevada is limited to poker. The first online poker website went live in Nevada in April 2013. In an effort to increase liquidity for the online poker websites in Nevada, the governors of Nevada and Delaware signed a compact in February 2014 to establish a legal framework for interstate poker between players in both states, and the states began sharing online poker players in March 2015. In October 2015, the Board issued a notice stating its position that pay-to-play daily fantasy sports (DFS) met the definition of a gambling game under Nevada law and, therefore, anyone offering DFS in Nevada must possess a licence to operate a sports pool issued by the Commission. The Board defined DFS as a gambling game, but did not take a position on traditional season-long fantasy sports. To Nevadans, the presence of the gaming industry is a part of daily life. A limited number of slot machines can be found on the bar tops of neighbourhood pubs and taverns and in grocery stores, convenience stores and even airports. Casinos are commonplace, and offer more than just table games and slot machines. Casinos are home to restaurants, theatres, bowling alleys, convention spaces, spas and salons. As noted above, gaming in Nevada is regulated at the state level by the Board and Commission. In addition, city and county governments also regulate gaming in Nevada. In general, the Board and Commission handle detailed background investigations for casino applicants, while local agencies primarily focus on the regulation and control of liquor sales and issuing ancillary business licences for the operation of various businesses located in a casino. In Las Vegas, for instance, casinos located on the Las Vegas Strip need to receive licences from the Clark County Department of Business Licence and casinos located in downtown Las Vegas need to obtain licences from the City of Las Vegas Business Licence Department. The Board and Commission have the ability to licence gaming operators in the state of Nevada and individuals affiliated with such companies. Those that operate gaming contrary to the laws of the state are prosecuted by the Nevada Attorney General or the appropriate federal authorities. 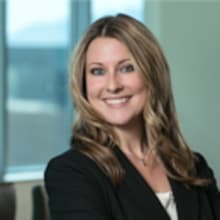 There may be regulatory consequences for companies that have operated illegally in the past and then apply for licensure in Nevada. A few years ago, the Board and Commission indicated its likely approach when companies that have operated offshore gambling businesses in the United States come before them for licensing. In 2011, the Nevada Gaming Authorities addressed Caesars Entertainment’s application to approve its association with 888 Holdings, a company that had offered online poker in the United States before 2006. When the Unlawful Internet Gambling Enforcement Act (UIGEA) was enacted in 2006, 888 Holdings pulled its operations from the United States. By ultimately approving Caesars’ business dealings with 888 Holdings, the Board and Commission indicated a general willingness to allow companies that ceased operations in 2006 upon the passing of UIGEA to be able to operate in Nevada going forward if they came forward for licensing. The Nevada Act provides for a two-tier state regulatory system. The Board is a full-time regulatory agency consisting of two members and a chairman, all appointed by the governor. The Board employs staff allocated among divisions, which perform various functions related to the regulation of gaming, including investigations related to applications for licences and findings of suitability. The Board makes recommendations to the Commission as to how licence applications should be handled. The Commission is a part-time body consisting of four members and a chairman, all of whom are also appointed by the governor. The Commission makes the final determination on licence applications. The Nevada Act and Regulations authorise casinos to offer mobile gaming to their patrons. For a patron to participate in mobile gaming, the patron needs to go through an in-person registration process at the casino. Once authorised, the patron is provided a device that allows the patron to gamble remotely on the casino property. The mobile devices should not work outside the property. Additionally, Nevada has two online poker operators that offer games to people in Nevada and Delaware, and Nevada’s race and sports books allow customers to place bets remotely on games on their mobile sports betting apps (provided the wagers are made in Nevada). Additionally, Nevada licenses certain service providers. A ‘service provider’ includes any person who: (1) acts on behalf of another licensed person who conducts non-restricted gaming operations, and who assists, manages, administers or controls wagers or games, or maintains or operates the software or hardware of games on behalf of such a licensed person, and is authorised to share in the revenue from games without being licensed to conduct gaming at an establishment; (2) is an interactive gaming service provider; or (3) is a cash access and wagering instrument service provider.28 The licensing guidelines for service providers vary depending upon what ‘class’ the service provider’s activities fall into. For example, an interactive gaming service provider is required to obtain a Class 1 licence. Other types of service providers are required to obtain a Class 2 licence. These include information technology service providers and location determination providers.29 As of 2016, marketing affiliates are no longer required to be licensed as service providers. When the Commission issues a licence to a gaming operator, certain individuals affiliated with the casino licensee and the casino licensee’s holding companies need to file applications and be investigated and found suitable. Generally, the Commission will impose a condition on a casino’s licence requiring the general manager of the casino to file an application as a key employee of the casino. Under the Nevada Act, the burden of proving qualification to receive a licence is solely on the applicant. Such approvals are privileges under the Nevada Act and no person has any right to receive a licence. Once granted, such approvals are revocable privileges and no holder acquires any vested rights therein or thereunder. When satisfied that a licence should be limited, conditioned, suspended or revoked, or a licensee fined, the Board shall initiate a hearing before the Commission by filing a complaint. Before such a complaint is filed, the Board may issue an Order to Show Cause. The purpose of an Order to Show Cause is to aid the Board in deciding whether to seek a fine or the limitation, conditioning, suspension, or revocation of a licence. All PTCs that are licensed by the Commission are required to maintain a gaming compliance programme for the purpose of, at a minimum, performing due diligence, determining the suitability of relationships with other entities and individuals, and to review and ensure compliance by the PTC, its subsidiaries and any affiliated entities, with the Nevada Act, the Regulations, and the laws and regulations of any other jurisdictions in which the PTC, its subsidiaries and any affiliated entities operate. The gaming compliance programme, any amendments thereto, and the members of the compliance committee, one such member who shall be independent and knowledgeable of the Nevada Act and Regulations, must be administratively reviewed and approved by the Board. Gaming licensees are subject to taxes and fees. Among the types of taxes and fees to which a licensee may be subject are annual and quarterly taxes and fees, and a monthly percentage fee that is based upon the licensee’s gross revenue. Casino licensees must pay an annual fee based upon the number of slot machines operated.55 For establishments operating more than 16 games, the licensee must pay a sum of $1,000 for each game up to 16 games.56 A licensee must pay an annual excise tax of $250 upon each slot machine operated.57 In addition, casinos licensees must pay a quarterly fee of $20 per slot machine operated in the establishment, and another quarterly fee based upon the number of games operated.58 Taxes and fees for other licensing categories such as restricted licensees, operators of slot machine routes and manufacturers vary. Taxes and fees related to gaming are not just the responsibility of gaming licensees. Gambling winnings are considered income and are therefore taxable. When a player wins $1,200 or more from a single slot machine bet, for example, the player is given an Internal Revenue Service Form W-2G – Certain Gambling Winnings to report the winnings to the Internal Revenue Service.63 A player can expect a federal tax rate of approximately 30 per cent on gambling winnings. Nevada does not have a state income tax, so for Nevada residents, no additional tax is due to the state. Nevada casinos may advertise their land-based and online offerings in Nevada. However, any advertising must be conducted in a manner that will not bring disrepute on the gaming industry in Nevada. Nevada casinos must conduct their ‘advertising and public relations activities in accordance with decency, dignity, good taste, honesty and inoffensiveness.’64 Advertising companies are not required to be licensed as service providers. In March 2016, the Commission adopted the new Regulation 15C, which created a licensing framework for private investment companies. Regulation 15C eliminates the requirement that private equity companies with an ownership interest in a Nevada gaming licensee must file financial reports with the SEC. New provisions of the Regulations came into effect in 2016 regarding the operations of nightclubs and dayclubs located on the premises of resort casinos in Nevada. The new provisions require greater oversight of club venues by casinos and club operators, and require that certain employees and independent contractors of club venues register with the Board. The Nevada Gaming Policy Committee was created by NRS 463.021 and is comprised of 12 members who meet to discuss matters of gaming policy in Nevada. The Committee met four times during 2016 to primarily discuss fantasy sports, e-sports and the future of online gaming in Nevada. It is anticipated that similar discussions will continue in 2017. The 79th (2017) Session of the Nevada Legislature began on 6 February 2017. Among the proposed legislation that the Nevada Legislature is considering is Senate Bill 240, which would amend the Regulations to provide that existing laws governing pari-mutuel wagering on a race or sporting event apply to pari-mutuel wagering on ‘other events’, which is defined as ‘any event other than a horse race, dog race or sporting event’. Such an amendment would authorise sportsbooks to offer pari-mutuel wagering on events such as e-sports and poker. 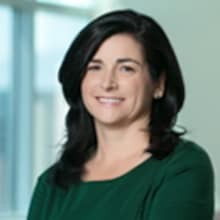 1 Jennifer Carleton and Andy Moore are shareholders, and Erin Elliott is an associate, at Brownstein Hyatt Farber Schreck LLP. 6 Nevada Gaming Commission Regulation (NGC Reg.) 22.140(7). 11 NRS 462.125 and 462.200. 20 NRS 463.309(1). The map is currently available here: http://gisgate.co.clark.nv.us/gisplot_pdfs/cp/reggaming1711.pdf. 29 Nevada Gaming Control Board Service Provider Licensure Guidelines. 30 ‘Control’ is defined as ‘the possession, direct or indirect, of the power to direct or cause the direction of the management and policies of a person, whether through the ownership of voting securities, by contract, or otherwise.’ NGC Reg. 15.482-4. 31 See NGC Regs. 15.1594-6, 15A.060 and 15B.060. 32 NGC Regs. 15.530-3, 15A.160 and 15B.160. 34 NRS 463.637(1); NGC Regs. 16.410(1) and 16.415(1). 43 NRS 462.250; NRS 193.150(1). 48 NRS 463.1405(1); NGC Reg. 5.040. 52 NGC Reg. 5.011(1), (8). 10. 62 NRS 368A.200(1)(a) and 368A.060. 63 See Dept. of Treas. Reg. Section 7.6041-1(c).